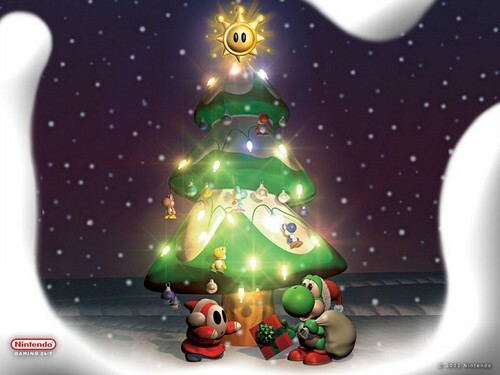 圣诞节 Yoshi. . HD Wallpaper and background images in the 任天堂 club tagged: nintendo christmas yoshi. 任天堂 盒式磁带, 墨盒 - Blow Me!